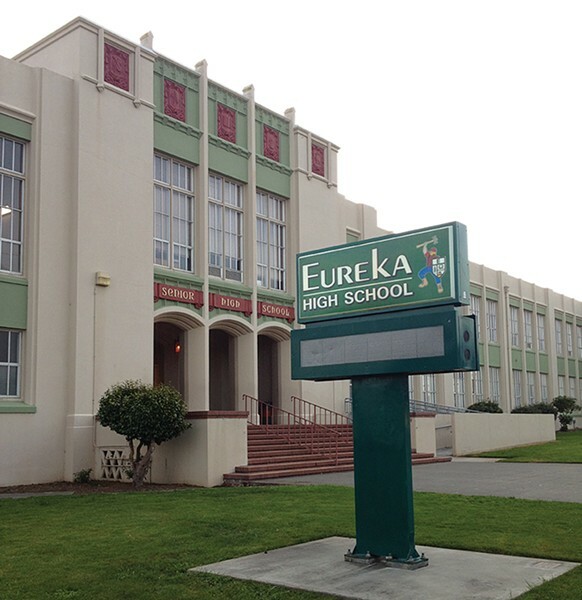 A number of Eureka High School students were hospitalized today after taking a natural hallucinogen. Eureka Police Chief Andrew Mills said it’s believed a student purchased Hawaiian baby woodrose seeds over the Internet and shared them with his friends, many of whom then suffered nausea, vomiting and generally “feeling terrible.” In addition to the students who were hospitalized, some were sent home with their parents, Mills said. City Ambulance of Eureka transported one student to the hospital, and others were treated by Humboldt Bay Fire or transported to St. Joseph Hospital by their parents. Mills said he believes all students are expected to fully recover but couldn’t say that with certainty at this point. Eureka High School Principal Jennifer Johnson said it appears some students ingested the seeds not knowing their hallucinogenic qualities. Hawaiian baby woodrose is a perennial climbing vine with large heart-shaped leaves and white trumpet-like flowers. It’s large furry seeds grow in pods, and contain Lysergic Acid Amide, a naturally occurring tryptamine that gives off LSD-like psychedelic effects. According to the drug information website erowid.org, when the seed are chewed they give off a hallucinogenic trip that lasts for six to eight hours. Webmd.com warns that ingesting the seeds is unsafe, and can cause side effects like nausea, vomiting, dizziness, blurred vision, rapid eye movement, sweating, increased heart rate and high blood pressure. People with psychiatric conditions or psychotic tendencies might also suffer more severe reactions, the site warns. Johnson said the school's automated phone system has notified all parents of what happened, urging them to talk to their children about the dangers of ingesting unknown substances. She said about 10 students total took the drug, and said they were very cooperative with the school's investigation. "We do know who the source of the seeds was and that student is facing disciplinary consequences," Johnson said. Mills, who spoke to the Journal on his way to St. Joseph Hospital, said the case remains under investigation.